Things have been busy, so I’m a bit behind on blogging things. A few things in brief, then the big news. Last night saw major delays affecting the Mernda and Hurstbridge lines between about 4pm and 5:30pm, impacting peak hour. 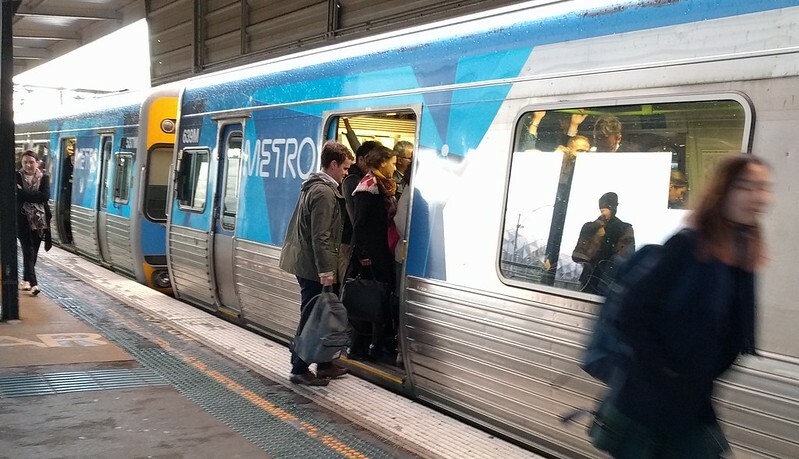 This was due to a track fault at Flinders Street, and it appeared that Metro re-routed those trains to other platforms, which caused flow-on effects onto the Burnley lines. Big delays for tens of thousands of people. But there was a silver lining in a very dark cloud: other lines (those via North Melbourne and South Yarra) were largely unaffected. This is a huge improvement from a few years ago, when the operational practices of sharing drivers and trains across line groups would quickly cause delays to snowball across the network. The question of compensation has come up again, of course. My sense is that the higher priority is to invest to avoid these problems in the future, and that the compensation scheme needs a broad review. The current threshold of cancellations/delays across the entire network across each calendar month is not appropriate — it means any people affected by huge delays like last night’s invariably get nothing. 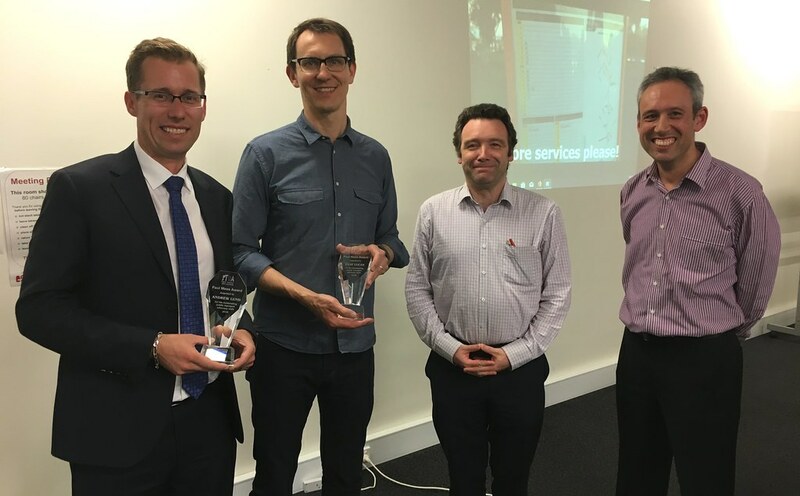 Last week the PTUA presented the Paul Mees Award for contributions to the transport debate to Channel 9’s Andrew Lund and The Age’s Clay Lucas. Both doing sterling work. Well deserved. On Sunday the government announced that more X’trapolis trains are to be ordered for the Metro fleet. The design will be updated first, and I’m told they will be compatible with the existing carriages. 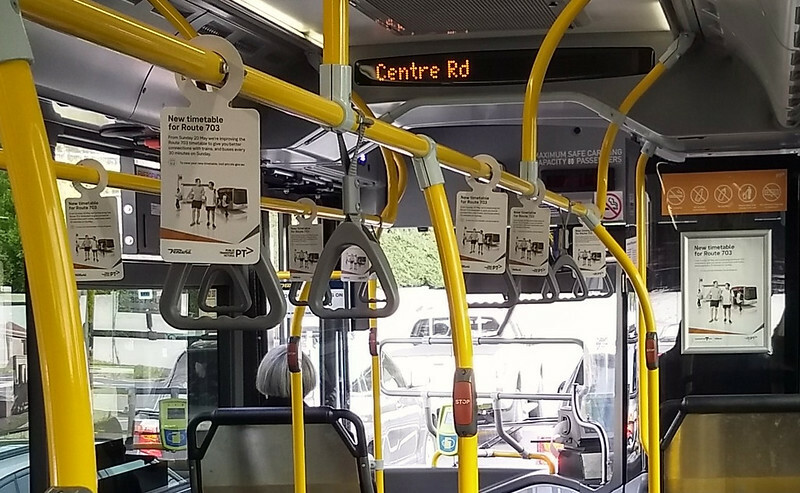 Hopefully they will fix the worst of the problems, such as poor suspension, lack of stainless steel, and information displays blocked by handles. It might also be logical to build them as semi-permanently coupled six-car sets, with no middle driver cabs, given these now rarely get used. They will help bolster the fleet as the Comeng trains start to get retired next decade, and the government tells me they see benefit in having trains other than just HCMTs — probably makes sense given the large size of the fleet, the problems in the past when much of the Siemens fleet had to be taken out of service, and wanting to keep multiple rolling stock vendors with local facilities viable into the future. In my opinion, this is a good policy – there are numerous benefits to motorists and public transport users alike from crossing removal. And we’re finally making progress in getting rid of the worst ones. The Coalition has re-affirmed that it will complete projects already started, but will not expand the level crossing program. It’ll stick to its proposal of road intersection grade separations. In my opinion, this is a bad policy – these mini-spaghetti junctions (see St Kilda Junction for an example) will be disruptive and expensive to build, result in cyclist and pedestrian-hostile environments, won’t actually fix traffic congestion (because you’ll just end up queuing at the next set of lights) and in fact won’t get rid of traffic lights – they’ll still be needed for turning vehicles. Traffic lights might be irritants, but are never as unpredictable as level crossings, they can be overridden/ignored by emergency vehicles, they can be overridden by controllers, and the major roads that would supposedly benefit from this idea already tend to have green lights synchronised along their routes. I guess this means voters have a clear choice. I asked my Twitter followers about it. They may lean a particular way, but even I was surprised at how one-sided was the result: 90% preferred level crossing removals. For the Coalition’s list of intersections in their proposal, see this post from November last year when they announced it. 15 of the 25 have been announced so far. Many of them are grouped – I’m told a key learning is the benefits of doing adjacent sites. Frankston line: Neerim and Glen Huntly Roads, Glen Huntly, and Chelsea Road, Argyle and Swanpool Avenues, Chelsea. All likely to be rail under road. 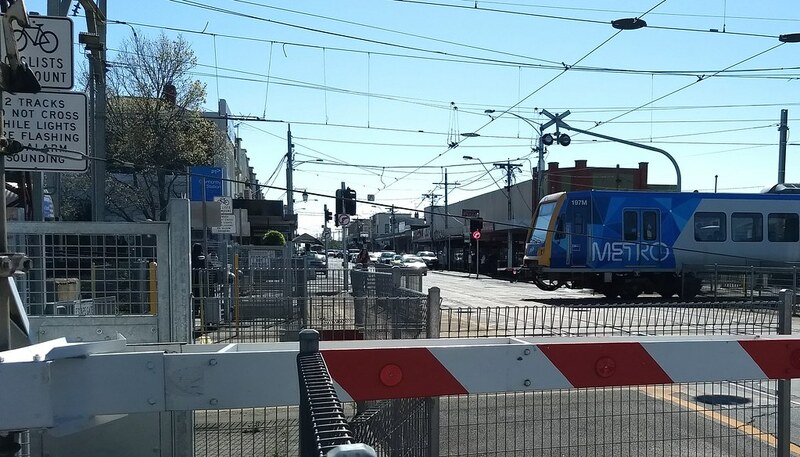 Upfield line: Reynard and Munro Streets, Coburg. Also likely to be skyrail. Given the proximity to Bell Street, which is already on the list, one would hope all three are done as one project. Glen Huntly Road? Hallelujah. This tram/train crossing delays trams, and forces trains to crawl across at 20 km/h, even when they’re expresses. It slows down journeys for every single Frankston line passenger. As a former local, I’m a bit disappointed it won’t be skyrail, as it could provide additional open space adjacent to the shopping centre, but I hope at least they’ll look at moving the station to between Glen Huntly and Neerim Roads, to improve connections to local buses as well as trams. The government has also released a document showing how sites are prioritised. At least, it shows the methodology. What it doesn’t show is how each site comes out when evaluated in this way. But it’s still well worth a read. On grade separation of level crossings vs intersections, the choice the major parties is stark. It’ll be interesting to see which way the election goes. One of the rituals of the Budget (both State and Federal) is the lock-up. That’s where you get to see the Budget papers before they’re all released, but you can’t leave until they’ve gone public. For the State Budget, there’s a lock-up for journalists, and another for special interest groups/stakeholders. I attended the latter this year. You hand in your mobile phone on entry, though you can keep iPads and laptop computers… I suppose there’s a certain level of trust that you’re not going to do anything too devious and send information to the outside world. 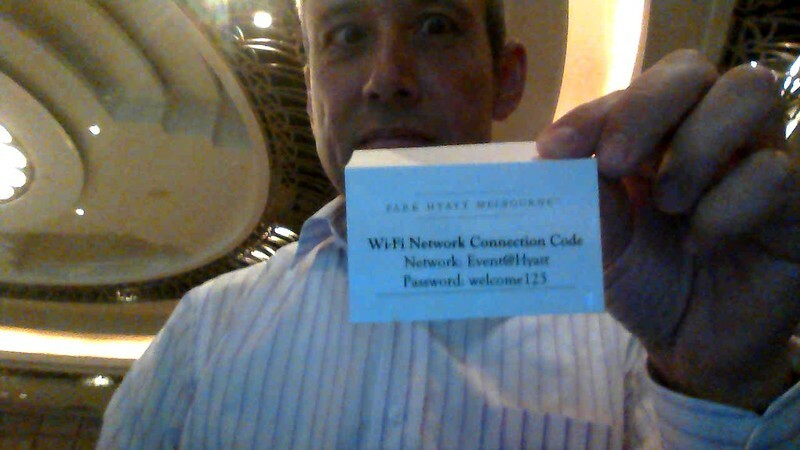 All the same, I was amused when someone pointed out that all the tables had signs advising of a Wi-Fi password. Anyway, what was in the State Budget for public transport? 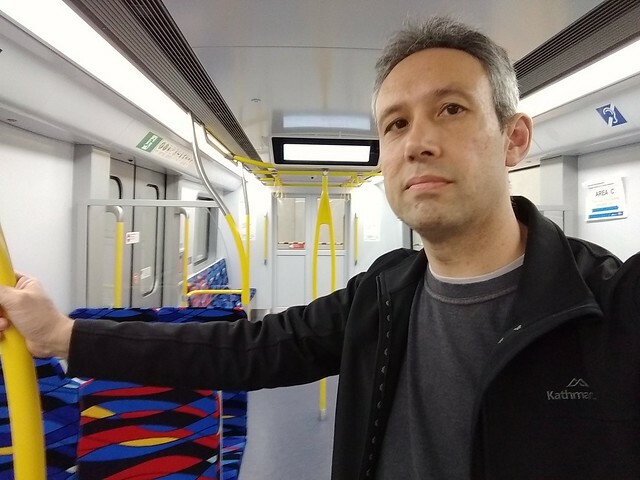 Five new X’trapolis trains $103m – presumably to keep the fleet expanding while the HCMTs come online, and also to keep the Ballarat Alstom factory ticking over for a bit until the next tram or regional train order. Essendon and Watergardens DDA, business cases for Broadmeadows/Pakenham, improvements Kananook and Seaford $16m — I’m a bit surprised Watergardens needs major works given it was only built in 2002. Does it suffer from capacity problems? Enhanced security around the network including bus stops $17m — would be interested to know what this entails. Presumably specific projects in mind, as it’d be spread pretty thin across the entire network. 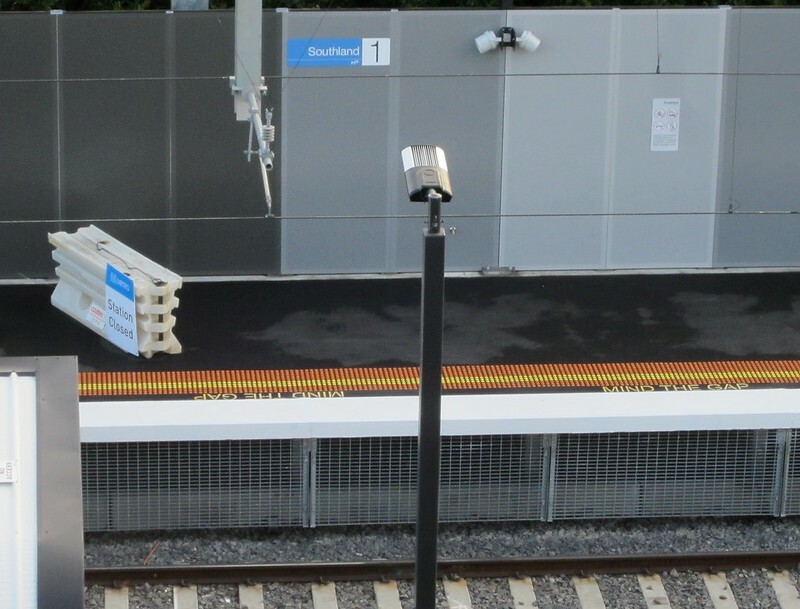 South Yarra station and tram stop upgrade $12m — will improve interchange between trains and the 58 tram, though will not include an additional concourse/exit — that may come later. 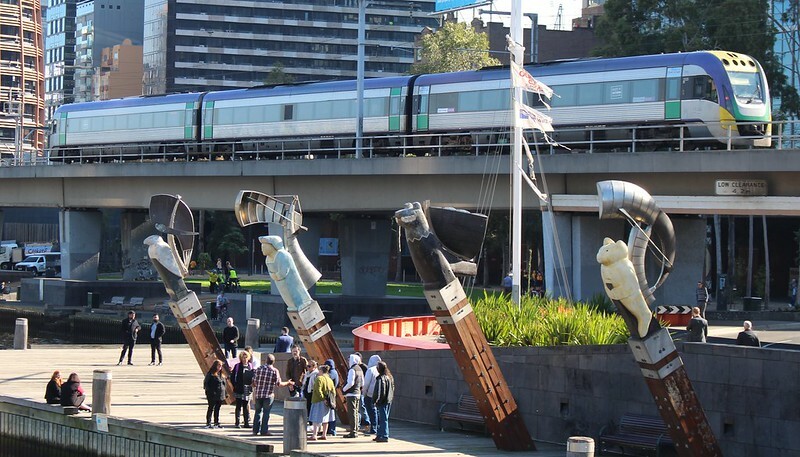 Regional train design and pre-procurement $16m — the plan is to phase out the “classic” fleet, eg the pre-2000 V/Locity fleet, with Diesel Multiple Units replacing all loco-hauled trains, which brings operational benefits. 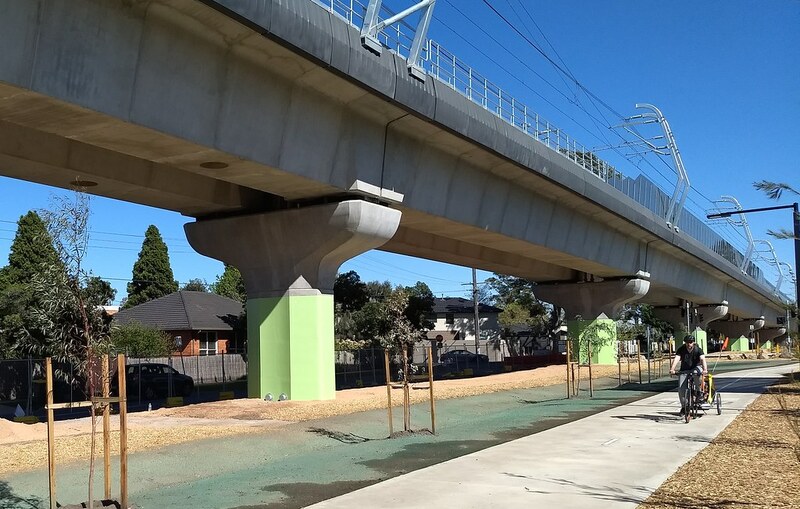 Fishermans Bend active travel business case $1m — planning for a tram and/or walking and cycling upgrades. Doesn’t include detailed planning for the proposed Metro 2 rail tunnel. Frankston to Baxter electrification $225m — good move, would include the Monash Peninsula campus at Leawarra, and enable moving stabling and park+ride out of the town centre at Frankston to an area with more land. Not clear how much of the cost this covers. I’d imagine this would increase pressure to remove the level crossing at Moorooduc Highway. 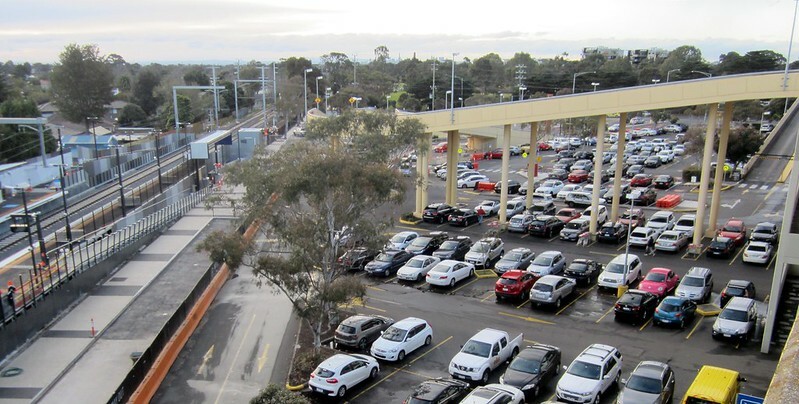 Monash and Rowville rail $475m — to cover property acquisition and pre-construction. The report says the Feds would prefer heavy rail, whereas the State would prefer light rail that also serves the employment and retail centre at Chadstone. The mode probably comes down to future demand and capacity. The report does say the Feds agree with the State that the section to Monash should be the first stage. The Herald Sun understands the federal government is willing to consider building a tram but also wants to look at a heavy rail line, with the final decision to ensure the route is “future-proofed” for growing demand. Future-proofing transport infrastructure is a good idea. Shame they never seem to want it for the major road projects they fund. The rest of the Federal Budget gets announced on Tuesday night. More State PT investment to come? There’s a bunch of worthwhile stuff in the State Budget, but no really big ticket items. A lot of observers suspect there will be some bigger announcements to look forward to approaching the election. Federal too, perhaps. It’s also notable that the new State money for roads was more than double the new money for public transport. Remember, new investment should reflect the type of city we want to achieve. So hopefully there is more coming for PT. There’s been a flurry of pre-budget announcements in the world of PT. 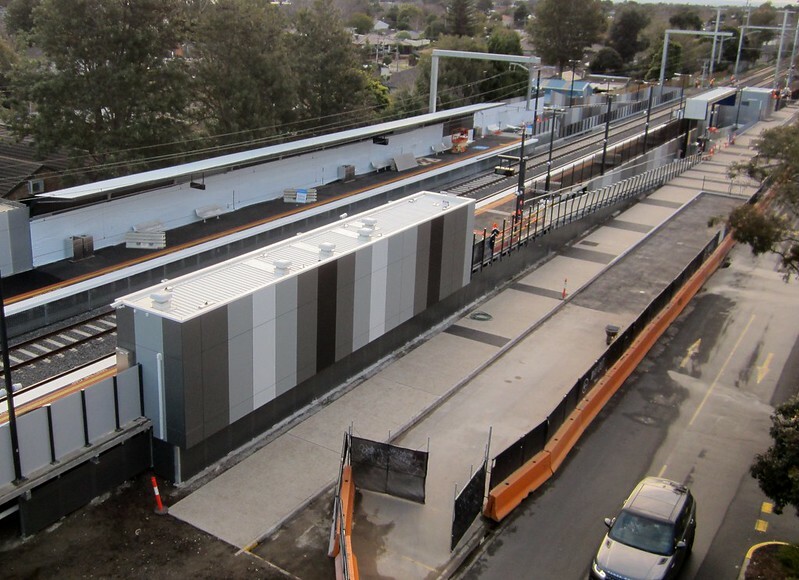 Hurstbridge line works extended by a week as they grapple with signalling issues on the rebuilt section of track. Apparently it’s down to compatibility issues between new signalling equipment and old. This was announced on Tuesday afternoon. Amazingly, almost 24 hours later, PTV’s generally excellent weekly disruptions email came out, still quoting the old dates. And 36 hours after the announcement, the regular printed newspaper advertisement for Metro disruptions didn’t mention it at all. 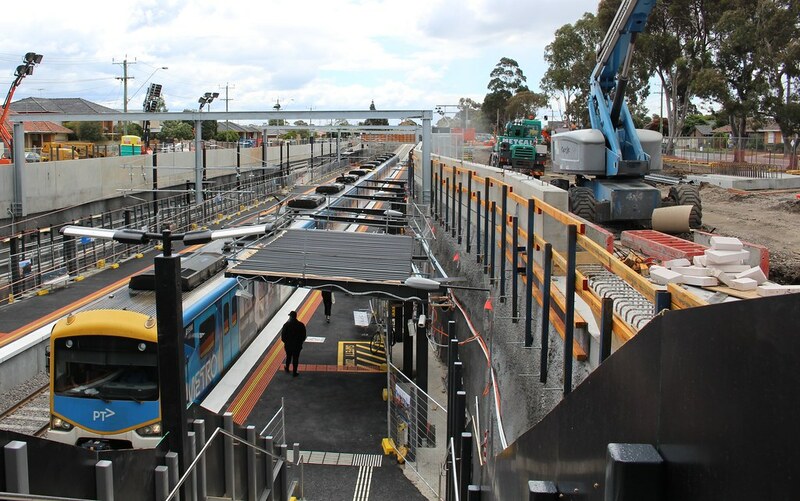 New Metro timetables coming later this year – including extending 10 minute services on the Dandenong line to 10pm (apparently misunderstood by some commenters on The Age article), and more peak services on the South Morang/Mernda line and Hurstbridge lines, the latter making use of the newly duplicated section of track. 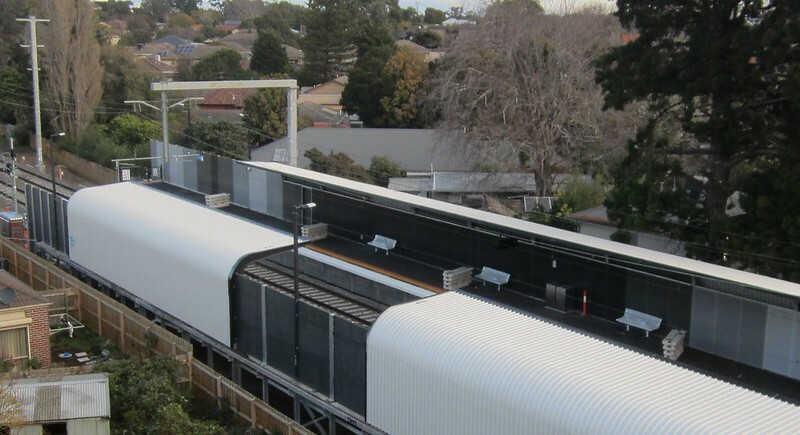 Also some extras expected on the Werribee line, but not clear exactly what. Still no commitment to a widespread rollout of 10-minute off-peak services, but it’s a step in the right direction. 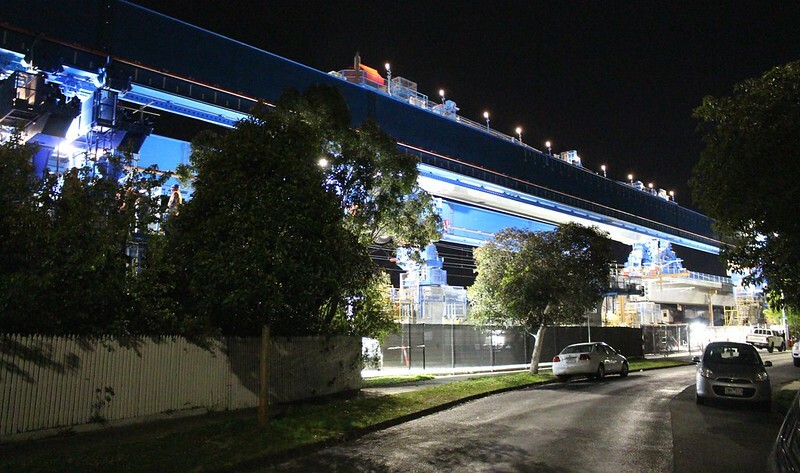 More investment in upgrading the Dandenong line has also been announced – power, signalling, which it notes “paving the way for the Cranbourne line duplication” – this can’t come soon enough. $50 million to investigate high speed rail to Geelong. It sounds a bit pie-in-the-sky, but actually it makes a lot of sense to look at the next step in the evolution of the regional rail network. The upgrades last decade to 160 kmh were good, but that’s not particularly fast by world standards. Moving to 200 (something the UK has had for 30+ years) and beyond would slash travel times — and may be more affordable than the 300 some are talking about. But even 300 would be possible, as much of the Geelong line is straight and flat. This seems to be part of the State Government’s moves towards shaking up the regional network alongside construction of an airport link, with Sunshine as a hub. In any case, the short-term need is to separate out Geelong, Ballarat and Bendigo trains from suburban services, including electrification and extra tracks out to Melton and Wyndham Vale. This would provide some travel time improvements, and more importantly, relieve crowding and cut delays. And yes, it might be possible to divert the Bendigo and Seymour/Shepparton lines via the Airport… but we shouldn’t assume the same trains will serve suburban airport passengers. They would need to be additional services. It’s well worth keeping an eye on this PTV page to see what other changes fly under the radar. I’ll also note that the Opposition has been making various public transport pledges, including duplication of more of the Hurstbridge line, and returning trains to Donald (a step closer to Mildura). As we move towards the November state election, things are getting interesting.